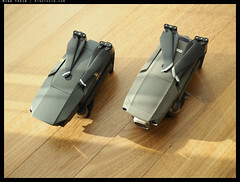 Small image thumbnails are clickable for larger versions. Let’s start with the aircraft side: the battery is now quite a bit larger, at 59.3 WH against the original Mavic’s 43.6 WH. Together with the new props, you get about five minutes more flight time in practice – for the way I typically use them, 20min on the Mavic has now become 25min on the Mavic 2. It’s also a bit faster; I’ve seen as much as 78km/h on the GPS in still air (officially, 72km/h max in Sport mode). It has collision avoidance in every direction with no fewer than eight cameras that are solely for navigation and stereo mapping of the environment to avoid obstacles, including backwards. As a result, it can now detect glass and won’t crash into it like the previous Mavic. This is in addition to radar, and landing lights for night flights (both so the cameras work, and so you can recover the aircraft more easily; and you will want to fly at night once you see what the 1″ camera can do). In practice, if you’ve flown a Mavic – then you will have no problems flying the Mavic 2. It’s a bit more stable, a bit faster, and a bit more precise thanks to the extra positioning cameras and next generation navigational components, but it should be familiar to existing pilots. Not an insignificantly larger gimbal and camera…think of it as relative medium format. Physically, it’s not much larger than the original and occupies the same effective packing volume. 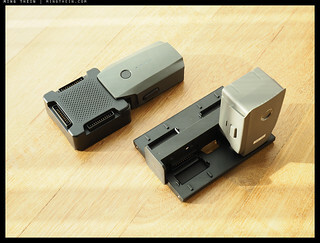 Oddly, the biggest impact on packing volume will be the slightly larger size of additional batteries (sadly, connectors, chargers and other accessories are not compatible between the two versions) and the controller. Whilst the controller might look the same as the old one, the sticks can now be unscrewed and stowed inside the folding arms so it takes on a flat profile. No more damaged sticks! There are also two other minor but important changes – the camera button now has a half press to focus, freeing up another button for custom assignments, and the control wheel on the right side is now a sprung toggle (as the controller is shared with the Mavic 2 Zoom). On to the more important stuff – the camera. I have not had a chance to use the Zoom version yet, so my comments are confined to the 1″ Pro, and biased by my involvement in development. First question is likely to be: “is this a real Hasselblad?” – I think the answer is yes, though a lot more complicated now that DJI and Hasselblad are integrated. The imaging pipeline is definitely Hasselblad, as is the color and tonal response tuning. We’ve never made our own sensors, so use of a 1″ 20MP Sony sensor is very much normal. That sensor is mated to a matched 28mm-equivalent lens with variable f2.8-11 aperture (for light and thus shutter speed control, not DOF) that resolves very well right into the corners, at all apertures. The lens (and gimbals) are not interchangeable, but there is a bayonet fitting on the front of the 1″ version that can take future accessories (filters etc). Given that the entirety of the camera hardware has been packed into a 3cm cube: this is really, really impressive. Camera housing and gimbal are both magnesium alloy for strength and heat dissipation. On the video side, which I aim to cover in more detail at some point in future (though this is likely to be covered better by others who have more video expertise than I) – we now have UHD at 24/25/30P, 100mbps bitrate, 10 bit Dlog profiles, ISO 100-6400, and more frame rates at lower resolutions – up to 120fps in 1080P. You also have the option to use the full sensor width or 1:1 pixel mapping (slight crop factor, from 5472px width down to 3840). There are a whole host of additional computational-driven modes including reverse dolly (new) and the usual flight tracking, gesture recognition etc. from its predecessors. 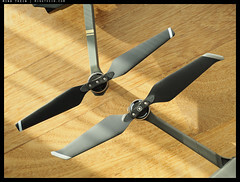 I have used this on a couple of client productions and found that rolling shutter seems to be lower than on the previous Mavic, which is a welcome improvement. Noise levels are also (as expected) much lower due to the larger sensor; I’ve done a couple of test runs at night with the usual street illumination at ground level and found the footage to be very usable with some grading and light noise reduction. This would have been completely out of envelope for the previous Mavic. The same is true for stills: whilst the auto ISO range is a little lower – 100-3200 – there’s a boost mode to 12800. The question now is almost this: why use the higher ISOs when tripod mode is so stable? I’ve had successful long exposures up to 2s if wind is low enough, enabling use of ISO 100 or ISO 200. In JPEG mode, we gain quite a few neat tricks: stacking for lower noise or higher dynamic range; stitching using the gimbal for higher resolution (and on the Zoom, a super resolution mode through overlay of multiple captures from the same location). It’s not going to replace a full size Hasselblad in a helicopter, but I can definitely see it having its uses. It will also of course shoot raw in DNG format, but none of the computational stuff is available (though it will save the original files from a pano). Having been involved in discussions with the program head at a very early stage in development, it’s great to see some of these ideas make it to production. There’s only one catch that I can see, and it’s a physical one: in order to maintain gimbal size, aircraft size and aerodynamic performance – there isn’t enough clearance for the camera to rotate 90deg into portrait mode, which is something of use to still photographers only (and only sometimes, and possibly only I’ll miss it). 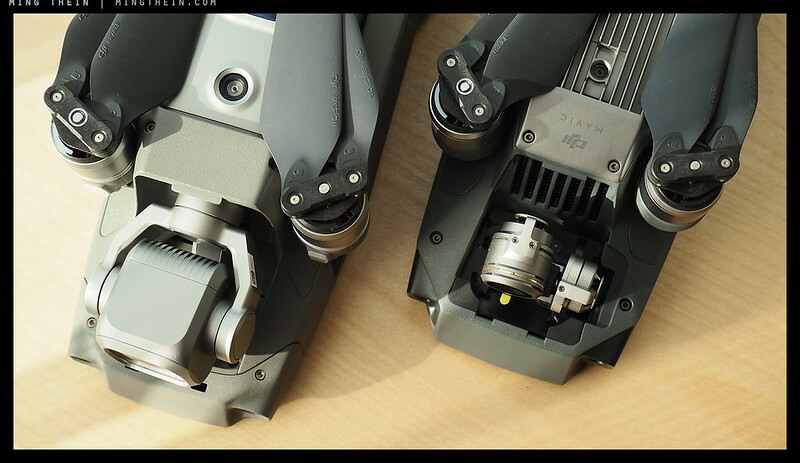 You do however have a lot more motion range on the gimbal – it is positioned further forwards so you can now look up, though beware seeing your own rotor disks. It’s probably more useful for video though – I can see a lot of shots where you’d want to approach something and fly over it but not see the ground (e.g. buildings with unfinished roofs), and for that you need sufficient gimbal-up angle. At base ISO, we have a solid 11.5-12 stops of usable DR; a bit more if you are careful with exposure and post processing. 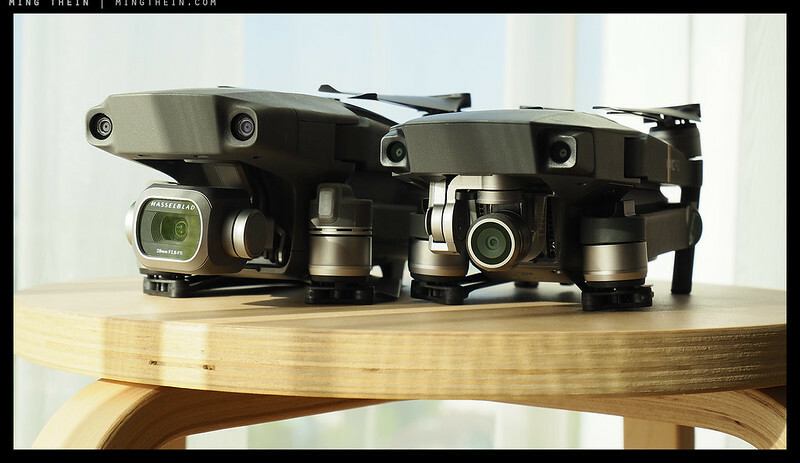 This is a noticeable improvement over the original Mavic, and given the way highlight rolloff has been tuned, quite close to what M4/3 delivers in practice. The same is true for acuity: the sensor-lens package has been optimised for longer distances, full open but modest apertures and one (obviously) specific focal length, without flange distance restrictions. Such design parameters actually make it possible to design very high resolution optics in a compact package. (Aside from the Mavic 2 Pro, the Ricoh GR springs to mind as a good example of this.) Basically: use the lens as you need, and short of f8 and f11 where diffraction start to be visible, you won’t find if soft anywhere. It does deliver a ‘clean’ modern rendition (actually quite similar in micro contrast and overall contrast to the X1D’s lenses) rather than anything particularly atmospheric, but that of course allows you maximum flexibility in post. The Mavic 2 Pro is available now at B&H or direct from DJI. The Mavic 2 Zoom is also available at B&H or direct from DJI. More info on DJI aircraft can be found here. You mentionned the base ISO, but what is it ? Would love to know what value is best for highlights or shadows. Great review! I can tell you tried to be more objective given your position. I’ve noticed that the image quality from the 1″ sensor is up there as I hoped it would be. If you get a chance could you please compare the zoom’s sensor to the pro’s 1″ sensor. I’ve seen the two images and its hard to distinguish between the two (pre-edit). Thank you. Thanks, but I no longer work for DJI/Hasselblad and would have to buy the zoom to test it (was not involved in development of this). Sorry! A Chinese lens maker call DJ-Optical is making M mount lens for Leica. Do you know if this company is related to DJI and, indirectly, to Hass? Not that I’m aware of. Chinese copying each other is new…I suppose it was only a matter of time. Excellent review.. I’m seriously thinking of upgrading from my Phantom 3 which is too cumbersome for me now. 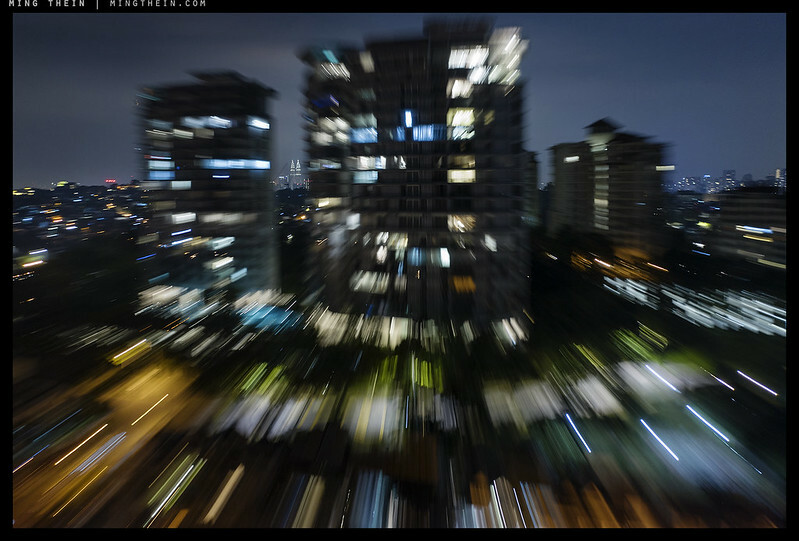 I see the streaks of car lights in your night photo of the city and wonder what shutter speed and iso you used for that shot. I don’t see the exif info. Thanks. That’s what I was guessing. A great example of how well it holds position. Had the Mavic 1 Pro which I loved. Just bought the Mavic 2 Pro. Looking forward to flying this weekend. But an OT question: When (of ever) is the Hassleblad XCD zoom lens coming out for the X1d? Sorry for the thread-hijack, but all my emails to Hassleblad have been ignored. Hoping you can shed some light. Anxiously waiting for it. Have the 30 and the 21mm and would love to get the zoom! Great write up and technical details (Very little other technical detail elsewhere). I’ve got a few somewhat random questions though ! 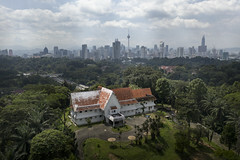 Firstly, where/what is that first building in KL in the sample photos list (with the skyline behind)? (Im guessing the jungle shots aren’t anywhere near KL). I’ve only ever flown around the Botanic gardens there, no idea where else is allowed. There seems to be some internet rumour confusion about the 10bit video data – specifically is it available in all the modes or ONLY the 4k-HQ mode? Do you know if DJI have any plans to release a proper LUT for the D-LOGm ? Obviously third parties are trying but only the engineering team are going to have access to the proper gamma tables and so on. 1. First building is actually an old abandoned house – not sure what it’s called. KL is mostly drone-friendly except downtown, airports and military installations. 2. I believe 10bit is only 4K HQ, which makes sense as you can downsample everything else from there. 3. LUT – not aware of it at the moment. One part of the review I did not understand was this. One reason I love my fast lens is the great DOF control I get with 2.8. I get it that shutter speed control is needed for video (and have to say I am waiting with baited breath for DJI to get the ND filter set back in stock). Could you explain what ‘thus shutter speed control not DOF’ means. Stopping down on a 28-e lens on a 1″ sensor with subject effectively at infinity won’t give you more depth of field – everything is already in focus. However for filmmaking you might want longer shutter speeds for smoother motion, for which closing down the aperture would be useful. What I was asking about was opening up the lens to get a shallow DOF. Some examples would be like flying close to a subject and getting the background OOF. Typical of what happens in portrait images. You’re not going to get that unless you’re extremely close (too close to safely fly) because of the real focal length and aperture. Hi Ming, thanks so much for the excellent review. Were you and/or Hasselblad involved in the imaging pipeline and color tuning for video as well? Most of the image samples I’ve seen from the Mavic 2 Pro are absolutely stunning, but the color in the video, while good, is not quite as impressive. I’m wondering if there’s a reason for this or whether Hasselblad was just not as involved in the image pipeline and color science for video. The video was tuned for log output for easier grading. Thanks! It seems like most of the grading examples I’ve seen so far haven’t been able to get quite as much color back out, but I’m excited to play around with grading when mine arrives. The 10-bit will certainly help. Did you find the lack of a mechanical shutter an issue for stills? The P4P has it whereas the Mavic 2 doesn’t. Thanks. Not an issue. The original Mavic didn’t have it either. Readout times are fast enough. I bought the Pro of these two and I am wondering how to save the pictures as RAW as you mention. I was told on a forum that you cannot but you say it will save as DNG. I saved as RAW DNG but none of my photo editors can process these RAW files. It’s strange because I’ve never had a problem with CaptureOne processing RAW files before. Can you tell me what I need or what software will support it? Just spotted this in the article: “… we now have UHD at 24/25/50P“. Do you mean 30 FPS not 50? My bad, yes, it’s 30 – amended accordingly. As someone who makes 360° sphere panoramas a lot can you let me know what is the largest equirectangular mage size the new Pro Hasselblad is able to make with the automated pano function? Also is the final image jpeg, raw, HDR or whatever? I have been tempted before with other DJI drone 360° capability but was waiting for the resolution to get a bit better for some really interesting use cases I have in mind. 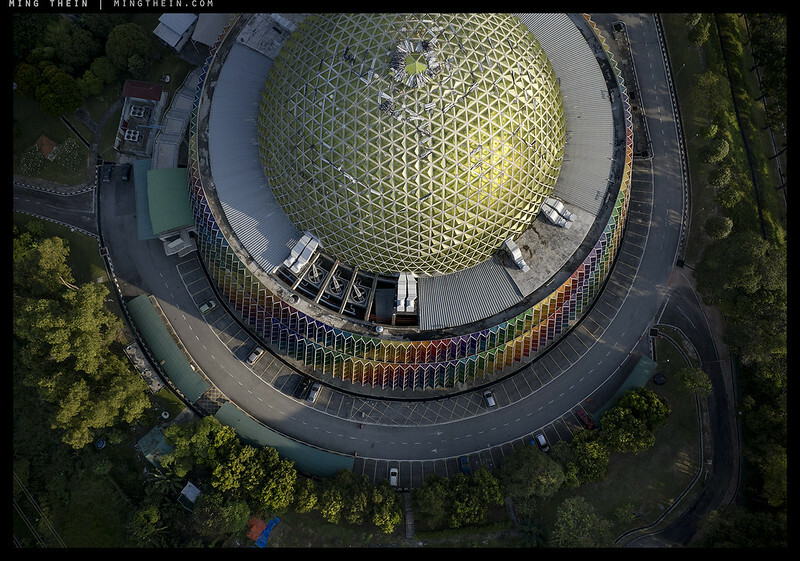 It’s about 65MP, 180deg. Not full 360. Hi Ming, is it possible to bracket and save as raw? Should be in final firmware. 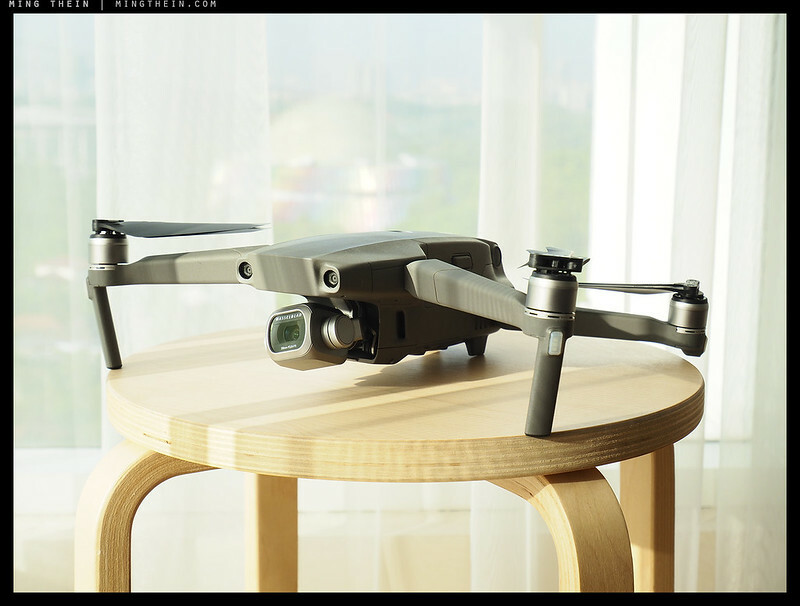 Ugh, I am very tempted by this, having previously just assumed the mavic 2 would be a minor upgrade. But it’s a lot of money for a special purpose device, to replace a perfectly good Mavic Pro, that I only really use a couple of times a month at most….need to think about it, and also see if the laws start to get tougher – there is not much point having a drone if you’re not allowed to fly it anywhere….. Improved night shooting envelope would be great, but what is the low-light focusing like? I tried using the mavic pro to take some photos of a reasonably well lit suspension bridge (from a safe distance, from over the sea, I hasten to add) and I couldn’t focus even on the high contrast lit-towers-against-a-dark-background, never mind the moving traffic. And you’re not the only one who uses portrait mode for stills – I use it a lot! But I guess a 4/3 (say) portrait crop will still be better than portrait orientation on the mavic pro? Glad to see you’re influencing DJI products as well as Hasselblad 🙂 If you have any spare time, maybe you could have a word with the mobile app software teams too, because the android app is still extremely buggy and the update process is painful, but DJI hardware is excellent and seems to be getting better with every iteration! Low light focus is fine – remember also focusing for CDAF cameras is a function of how much overall signal/light the sensor receives; generally larger sensors work better here, too. Great article. Does the Mavic Pro 2 having an electronic rolling shutter bother you from a photographer perspective? I like the mechanical shutter on my Phantom 4 Pro. No, it’s fast enough you don’t notice it – even on moving objects. Future Hasselblads will be, yes. Right now, nothing on the controller and I wasn’t involved in geofencing – only image quality calibration. Would probably be easier to email your questions directly to DJI. 2. 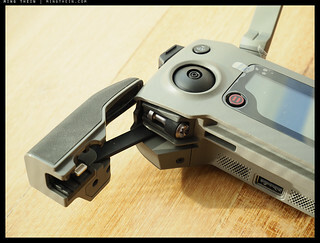 Very related question: there are rumors about a new controller for the Mavic 2 with 5.5″ built-in screen. Do you know anything about it? That would be so perfect. 1. Sorry, no way to test as I don’t have an iPad mini. It works fine on my iPhone 7/8+. Do you know what that is called, or the model number? The display is called Crystalsky and it works with the standard controller (doesn’t have a name, but listed as a replacement accessory. Any idea if there are options for IR? I work with Emergency Management over here in the states and with the 20MP camera it could be handy. If IR is available it can help with searches even better. My guess is we’d need a special CFA over the sensor for that – the default filter packs are designed to cut as much UV and IR as possible to keep color accurate. If we further put an IR pass/ visible light cut filter over that, you’d land up with almost no light left. Seems like the camera and gimbal would make a great stand alone product for travelers, better than a GoPro albeit more delicate. The photos shown are of spectacular quality. I’ve been amazed for several years by the video quality produced by DJI drones, but this is a new level of excellence. I realize Hasselblad’s brand (aside from a few disastrous detours over the past decade) centers on top-tier, relatively large format, mega-megapixel still cameras. But I think this series of photos stands as proof of concept for a superior, affordable one-inch sensor camera which even I could buy. Same goes for a video-centric camera with the one-inch sensor, image stabilization, and an integral modest zoom lens. I realize the dangers of diluting the brand, but there must be some bit of marketing voodoo which could bring those two items to the unwashed (read that as impecunious) masses like me. Thanks. I would like to think these are fairly optimal conditions – experienced operator and photographer who understands the hardware’s limits and strengths and uses all of them – plus appropriate subject material. Didn’t mean to imply the sensor is Hasselblad’s own, nor is it the key ingredient. The sauce is clearly Mingian. But if they put that camera and gimbal atop a battery pack….the handle of the Osmo Mobile 2…and gave it the capability of recording at least a scratch track for double system sound I would be sorely tempted. Wow, thanx for that review. So far, the best review I’ve heard or seen ̣̣(mostly by youtubers). I guess as an insider, you know best, and I appreciate you sharing the knowledge and those AMAZING photos. I currently own the Spark, and although it has it advantages, mainly its size and incospicuosity, I regretted buying it almost from the first day I flew it while travelling. The reception was VERY unstable in high interference areas like cities, the range was embarrassing, and the photo quality (I mainly like to take photos with it), although I took some really nice shots, lacking in many aspects, mostly its dynamic range. I had waited for this drone over 8 months to come out, and it’s finally here. This one should be a HUGE improvement over the Spark. Any advise? Spark: it’s a consumer level drone and there are limits to what hardware can be put into something of that size and price. That said, interference will affect any radio frequency operated device, drone or otherwise, and if you’re not using the controller it’s worse because phones have very limited wifi range. I get you. 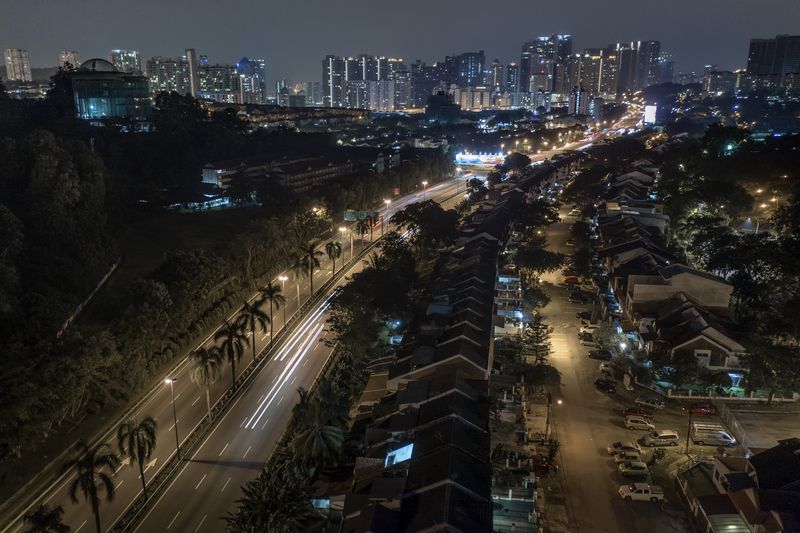 I’ve been to KL only 2 weeks ago with my Sparky and got some decent shots, for what it can give. Your shots are WOW. And thinking that you took them 4km away from your takeoff point? That’s a dream. I’ll be happy to be able to go straight up in the air 300m’, worry free, without disconnecting, and that is with the controller. I never use just the phone. Thanks Ming, another exceptionally informative review. I’m interested in getting the Mavic Pro 2, but I have a question about post production processing. Your “look” is legendary, but difficult for mere mortals to replicate. Does the PS/Lightroom Workflow III provide the training necessary to attempt to get the cinematic effects you effortlessly produce? I also haven’t been able to determine how you get that wonderful black border, complete with your watermark, surrounding your images. Is that available in any of your store materials? Finally, I have a year old iMac 27″ retina computer, a rather basic version without extensive SSD storage or increased RAM or upgraded video card. Is this machine powerful enough to edit the Mavic’s output, and to create the cinematic look of your images? Thanks in advance for your reply. Incidentally, for those reading this post, I’ve ordered several of Ming’s video programs (full disclosure – I paid the standard price for each of them) and find them unique and immensely helpful. Since Ming has become very involved with Hasselblad there is less emphasis on these unique training tools, but I highly suggest that you look into them. I’ve not found anything as useful as Ming’s training materials. I’m using a three year old iMac, and before that a 2012 Mac Mini – no problems at all with the Mavic files. They’re tiny compared to the 100MP Hasselblad, and those run just fine too. Thanks for the compliments. 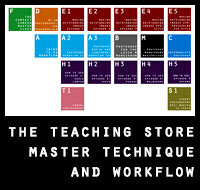 Training material production has stopped not because of Hasselblad but because I’ve covered all of the creative/compositional areas I think can be done over video, and whilst the Photoshop interfaces and graphics have changed, the fundamental principles have not – I haven’t found a better or more efficient workflow yet, so everything is still current. What a neat device. 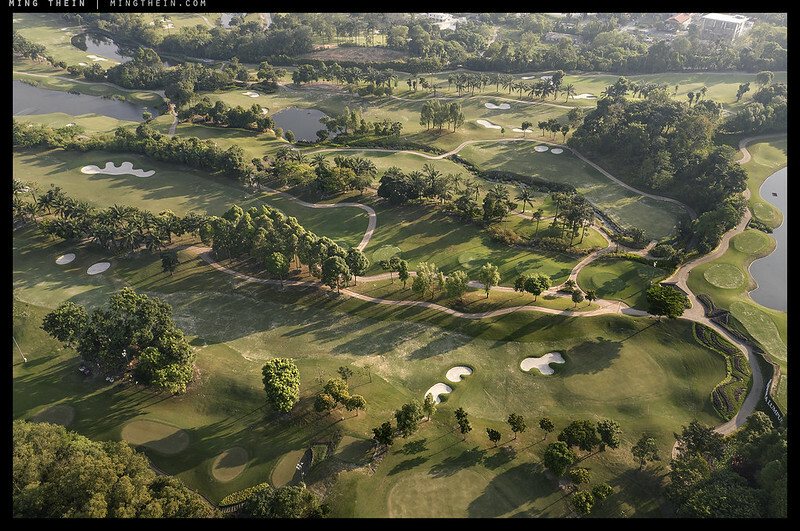 Very appealing if you have the money, and something worthwhile to photograph from the air that you are permitted to shoot from the air. Some of us don’t have much in the way of subjects. Still, I’m glad this exists so maybe I can get it some day. I finally found a decent review of the Mavic 2 Pro, from a photographer´s perspective, so thanks for writing this! My name is José Ramos and I´m a professional landscape photographer from Portugal (instagram.com/joseramosphotography). I´ve used the DJI Spark for a few months last year, mostly during an Iceland photo-trip in September 2017. 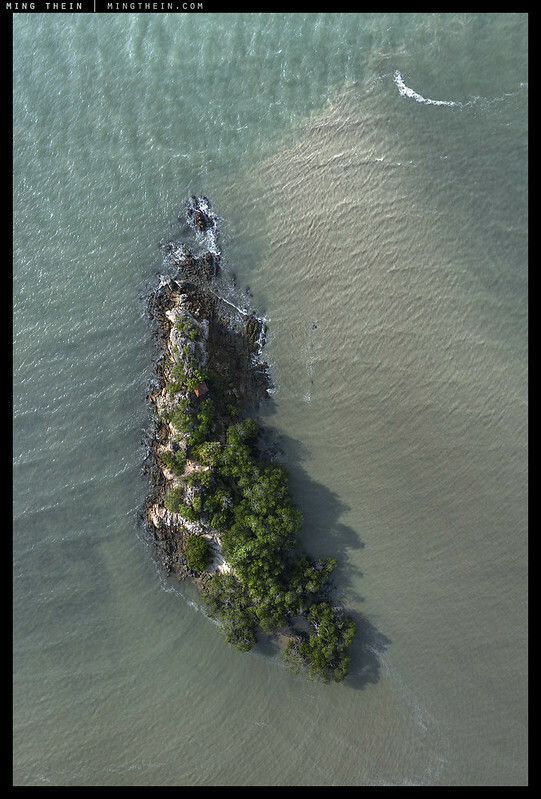 Even though I managed to be one of the lucky winners of the International Drone Awards with a Spark image, I quickly changed to the Mavic Pro due to the pixel level low of quality of the Spark’s jpgs, because of the classical watercolor processing that most brands tend to favor nowadays. The Mavic Pro was clearly superior due to the much higher quality of the RAW files, allowing for better post-processing. Unfortunately, as soon as you go above ISO 200, things go bad and noise increases exponentially, making it quite hard to shoot high quality images during blue hour. It´s true that I can use tripod mode and go for longer exposures, but that is not an option with strong winds or moving foliage in the image. Following this, I´m seriously considering upgrading to the Mavic 2 Pro, and on the 15th September I´ll return to Iceland for a intense three week highland photo-trip, so I´m in a bit of a hurry to decide this. 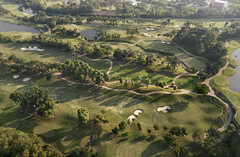 So, now that I´ve finally found a great photographer who had the chance to use both the Mavic 1 and the Mavic 2 Pro, I would really like to know how you would compare the photos made with both, specially regarding sharpness, noise and dynamic range. Throughout the years I have found that some upgrades look great on paper, but do not translate to real life, so I´m very interested in your true feedback. Short answer: not even close. 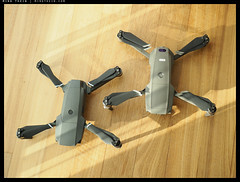 The Mavic 2’s sensor is over four times the area of the original Mavic. 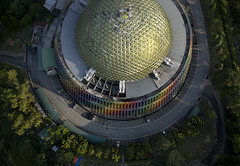 The shadows aren’t noisy mush, your highlights don’t clip to white abruptly, the corners are sharper (but in the centre both lenses actually hit resolving limits of the sensor) and there’s about two more stops of clean DR.
Hello from Malaysia as well – Nice shot of the KL Tower and Pusat Sains Negara (National Science Museum). Any idea when will it be available here? My understanding is immediately if you order direct from DJI. Retailers, no idea. A Hasselblad, equipped, Ming-tuned MP2 (or M2P)? Santa, you’re early this year! The only downside is losing Portrait mode (which I also loved) but 20MP lets you crop, so no big deal. Can’t wait! Drone photography is something I’ve thought about trying, in a “maybe I’ll give it a go at some point” way. Seeing what you’re getting from this model is extremely impressive and is pushing me further in that direction. I’ll definitely have to find out more about the restrictions here (Tokyo) as well. Really great to see a compact and relatively affordable drone with such consideration for still shooting. Thanks Ming! How does this 1″ sensor’s image quality compare to that of my M4/3 in the G5 camera of the Inspire? I shoot mostly stills. They’re pretty close unless you’re in very low light, need a bit more dynamic range, or the kicker – require another focal length. But from a pure resolving power standpoint under optimal conditions: very little in it. Thanks for your instant reply, Ming. I imagined so, despite the smaller sensor. I think the drone technology has been going through rapid changes and it has brought in a new dimension to creative photography as well. Words fail me. I can’t keep up. Just as well, because unless I win Lotto – which we all realise is highly unlikely – I’ll never be able to afford the camera, let alone the “aircraft” to fly it. Anyway, as an experiment I bought a small drone, and I’m not safe just flying it around this room – even though I have 100 square metres to fly it in. So I’ll stick to admiring your photos, Ming. Does this mean you’re no longer chartering aircraft to fly our coastline (or other people’s)? 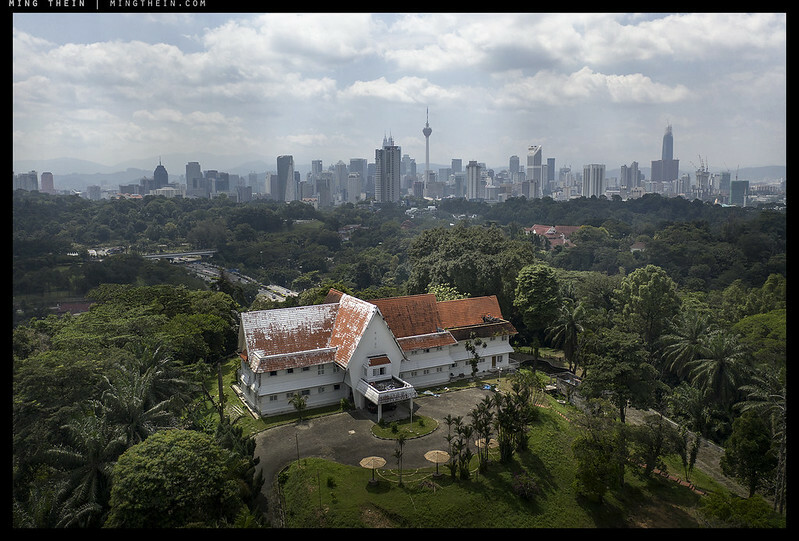 What’s the enormous house (with KL in the background) – it seems a shame to let it fall into rack & ruin, like that. Another of yesterday’s cast offs, I guess. And the mosque – is it still under construction? – it seems to have all sorts of junk on the roof. As you can see, I grabbed the chance to wallow in your photos and enjoy the incredible detail you capture with this gear. I’m usually left standing (or sitting) on the ground, flying any drones that pass overhead – that seems to be the limit of my attempts at drone photography! Actually, that’s the kicker: the Mavic 2 Pro is $1500. Including the camera, the aircraft, and the controller – to make all of the images I posted here. If the all up cost to get started is only $1500, expect to DROWN in sales orders! Uh oh… I can see my wallet take a hit. Finally the combination of small size and good image quality that makes a drone a viable option when travelling. Agreed; so long as you aren’t going somewhere with draconian no-fly regulations.